Because each individual we support is unique, we strive to provide services that are tailored to each person’s own hopes, dreams, goals and needs. Dungarvin Minnesota works cooperatively with each person, his or her family, the support team and county/state entities to ensure quality services. At Dungarvin Minnesota, we are committed to our mission of “Respecting and Responding to the Choices of People in Need of Supports”. Many people with disabilities need some assistance to live full and productive lives at home or at work. Even when the person lives with family members, there can be a need for additional support, such as taking the person out into the community or providing assistance with daily, personal and household tasks. Dungarvin Minnesota is a company that specializes in these types of support services. We believe a person’s home should be a place of his or her choosing. We will provide the assistance and support necessary to create a healthy, safe, and happy atmosphere. This may be in a rented apartment or house, or a home owned by the people receiving services. People may live alone or with others. Services are also provided to people living with parents or foster care providers. To seek services, one way is through a case manager, service coordinator or social worker. Contact the county information desk and ask for assistance from the community services for the department serving persons with disabilities. The case manager will provide assistance on obtaining a funding method. The most common funding source for our services is through the Home and Community Based Services (HBCS) Waiver program. However, there are a variety of other funding sources as well. Once a person has a waiver, a case manager will assist the person in looking for appropriate services based on his or her needs. We also accept private pay people who need services and supports. Home Pages for the counties Dungarvin provides services in include: Anoka, Benton, Dakota, Hennepin, Ramsey, Sherburne, and Wright. After reviewing our specific services below, if you need additional information, please contact us. Dungarvin Minnesota’s Case Management services are available to Ramsey County and Hennepin County residents who receive funding through Medical Assistance, Home and Community Based Waivers including Developmental Disabilities (DD), Brain Injury (BI), Community Alternatives for Disabled Individuals (CADI), and the Elderly Waiver (EW). Our case management team assists in the navigation process of an everchanging social service system. The Dungarvin team provides information and advocacy in accessing a variety of service options and providers within each person’s community and works closely with them to ensure their satisfaction. Eldercare services are customized supports to help seniors stay safe and secure within their own home. Dungarvin services fill the gaps that address health and safety by responding to emergency situations Because everyone we support is unique, we use creativity and collaboration to tailor services specifically to you and your goals. These services are for private pay individuals. Core services include, but are not limited to: personal care, grocery shopping and errands, light housekeeping, asleep/awake overnight care, coordination of daily services, companionship care, and 24-hour emergency response. Supports can be added or removed as often as needed. We accept private pay for these services. Independent living skills has a stronger focus on learning or maintaining independence skills, so the person can remain in their own home. Most people receiving this service live in their own home or assisted living. It is for people on the BI, CAC, or CADI waivers. In-home services are developed to provide supports to a child, adolescent, or adult living with his or her family or in their own living environment. We serve people with a broad range of abilities and needs, and our in-home services vary. The person and the family design the level of support and service that is needed. This is utilizing a menu of services to provide an alternative to traditional adult foster care that allows for flexibility to provide services tailored to the person. These services are designed to adapt to the increasing or decreasing needs of people who live in their own apartments. Services available include 24-hour emergency staff response with technology and supplemental support in areas including budgeting, menu planning, grocery shopping, assistance with medical appointments, and additional areas as identified. Support in your own home services are located throughout the metropolitan and greater MN area. Staff are available by phone or in person 24 hours a day for unexpected situations that may arise. Staff can respond in person or by phone depending on the level of response desired. This is a “just in case” staff for the unexpected situations that might arise that a person would like support with. This service is often paired with a scheduled support service like ILS or SLS 15-minute unit services. Dungarvin’s hourly supports provide staffing only when a person needs assistance. Staff are scheduled to e on-site to assist a person according to his or her personal needs and goals. In some instances, staff may only drop by to assist with medication needs or financial assistance. In others, staff may be scheduled for longer periods to assist with additional daily living skills. The Dungarvin Acute Behavioral Services (ABS) programs are highly specialized programs in which we serve people with intensive, interfering behavioral and mental health needs. ABS programs utilize a person-centered approach to creating a program that focuses on supporting a person to reach his or her goals while still considering the safety of the person, staff, and the community. Generally, ABS programs support people with multiple failed placements, so an emphasis is put on the preparation of programming, environmental modifications, staff training, and behavioral supports prior to placement. We consider our ABS programs to be a last stop for the person or until they progress to a more independent setting. We are proud to offer community residential services in a variety of individualized settings. We support people of various need levels, including people with significant medical, physical, or behavioral challenges. Our person-centered approach is focused on enhancing independence and quality of life. Dungarvin’s community residential services are flexible and easily modified to meet changing abilities, interests, choices, and needs of the person. Our traditional programs serve adults on DD, CADI, BI, or CAC waivers. We also serve people who pay privately. 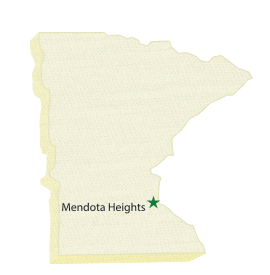 Our homes are located throughout the metropolitan area and north of the Twin Cities. These homes serve from three to six people and many offer handicap accessible single-level living. In addition to our traditional group homes, we support people who live in their own home or apartment, with or without roommates. Using a person-centered approach, services are designed to meet the specific needs and wants of the people served. Staffing levels vary by the needs of the person receiving services. In Minnesota, Dungarvin provides employment services, which includes employment exploration, job development, and ongoing supports. Dungarvin has certified employment specialists who provide one-to-one employment and training services to people with disabilities, with the goal of finding careers with competitive pay, and remaining stale in those positions by ensuring that supports are person-centered. We also offer employment exploration that is designed to work with people who need to explore if community-based employment with competitive pay is right for them.